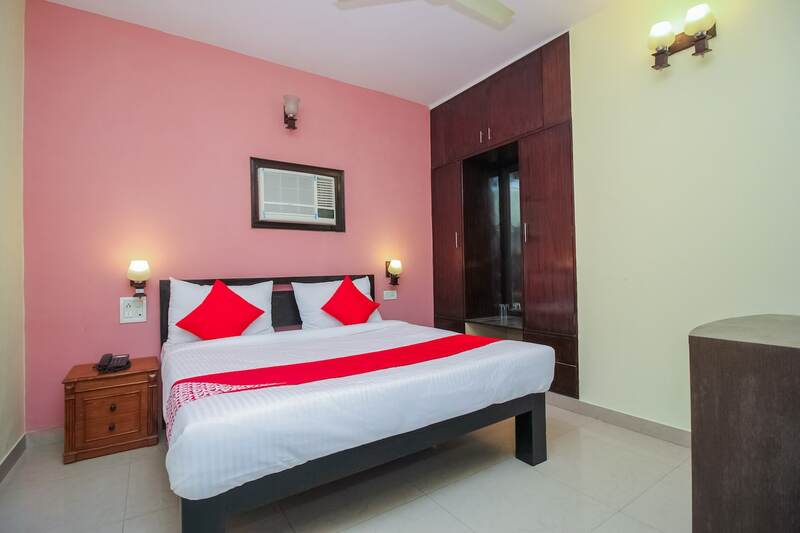 The rooms provided by EverGreen guests House have a very good ambience and are very comfortable to live in. A neutral palette has been maintained throughout the room. The only elements of color are the cushions and the curtains provided. The rooms are well-furnished and the good usage of artificial lights makes the rooms well-lit. The additional features provided by the hotel are free Wi-Fi, an uninterrupted power backup supply, parking provisions, card payment in all forms and CCTV cameras. The in-house facilities include a common refrigerator, a dining area, a common kitchen, and a restaurant. The front desk area is manned by experienced staff who help the guests to enjoy their stay at the hotel.